I can’t get enough of turmeric and I can’t get enough of freshly squeezed juices. Turmeric juice recipes are some of my absolute favourites! What are the best turmeric juice recipes? Well for me at least one really stands out. It is a damn hard choice but I keep coming back to this one. Turmeric, Pineapple, Carrot and Ginger! Ok, I know, I have lots of favourites but this one has so many benefits. The best turmeric juice recipes have wonderful benefits. Let me just give you one benefit from each ingredient, and trust me there are many more, but with just one from each you would be mad not to have one of these nutritious juices every day! Turmeric has anti cancer properties. It is a natural anti inflammatory. Inflammation causes 90% of disease. Extensive research over the last 50 years has indicated both Curcumin (the active ingredient in turmeric) and turmeric can both prevent and treat cancer. Of course there are loads more benefits but you get the drift. The core of the pineapple contains an enzyme called bromelain. Bromelain is an amazing anti inflammatory and anti swelling agent. So for any injuries and inflammation, bromelain is your go to enzyme! Also aids digestion and helps kill cancer cells. Oh yea it was only supposed to be one benefit. Oh well. Once again there are loads more benefits and your body will love them. The humble pineapple is a major medicine that not many people know about. I will cover more on this super food in an upcoming article. Carrots contain beta carotene. Beta carotene helps prevent macular degeneration of your eyes. There is no cure for this disease but eating lots of carrots can help prevent it becoming an issue for you. Carrots also make your skin smoother and… I know, only one benefit each. But again carrots are a superfood and they make the best juices! Apple and carrot a favourite. Another anti inflammatory, ginger contains gingerol, the main bioactive compound. Ginger treats nausea and morning sickness and helps relieve sore and aching muscles and inflammation. Oh and yes this is one of many juices I used to heal prostate cancer. Turmeric, pineapple carrot, and ginger juice. Spoon full of coconut oil or olive oil. Add the juice to the blender. Blend for around 5 to 10 seconds. Pour and add a garnish and I like to drink it through a straw. Enjoy the amazing health and healing! Get this juice into your cells! If you are unable to source turmeric in your area then please check out Turmeric Plus that works just as well as the root and powder. I hope you enjoyed this article on the best turmeric juice recipes! Let me know if you tried the juice in the comments below. And please share this link with your friends who will benefit from the information! Previous Post:What is Intermittent Fasting for Weight Loss – Juicing for Life! Next Post:What is the Best Acai Bowl Recipe? – Mine of Course! I do smoothies with ginger and Tumeric. I grind them fresh and put them in. I don’t want to waste anything juicing them. Am I still getting the same benefit? I don’t use peppercorns. I use a sprinkling of black pepper and coconut oil, of course. Is that ok and am I getting the same absorption? Do you lose a lot by juicing the Tumeric versus grinding it fresh on one of those little plates? Sounds tasty! Have you heard of Jamu? I had it in Bali last year, it’s a super refreshing turmeric drink. I do fresh smoothies in the summer which is very refreshing but havent done the juicing before. I would be interested in trying Turmeric, and also trying out the recipe! I have been feeling nausea lately due to Anxiety and I think that the Ginger would def help with that. Thank for the tips! Hey Kevin, cracking recipe mate! I’ve just bought a new juice blender and will definitely give this a try! It’s not a Nutri-Bullet but it still cost me 200RM, about 80AUD if I’m not mistaken! I’ve tried it already and it’s pretty good. I’m a huge lover of all the ingredients in this recipe. Very interesting to read about carrots preventing eye degeneration and here was me thinking that was a myth! My Mum used to tell me carrots can make you see in the dark! Bit of an old wives tale but you can see where they are coming from (sorry for the pun). I have a spice jar of turmeric at home, is this the same as turmeric root? Can I use this in the recipe? Thanks for your comments buddy. Great you have a blender, I hope you get a juicer too. Yes your spice jar will be the powder which is fine to use. Just add black pepper and oil to a juice when you use it. That sounds like a great recipe with wonderful health benefits. I especially appreciate the anti-inflammatory properties. I’ll be sharing this around for sure. Thanks for the great info! Hey Kevin, this sounds really delicious! And getting to enjoy all those health benefits is a great bonus! I’m actually a little surprised that more people don’t juice already considering how simple and easy it can be. I noticed a common theme with this particular one: anti-inflammatory! That’s a huge plus, considering how much of our daily food causes inflammation and problems for our bodies – especially the stuff you get at fast rood restaurants. Would you say that eating properly is the best way to keep your body healthy? Thanks for the comments. Yes definitely the saying ‘you are what you eat’ is so true. If you are eating lots of rubbish then your body will act like rotting garbage and disease is inevitable. Yes more people should juice and that is my mission to spread the word. Inflammation is what causes 90% of disease so juicing with the likes of turmeric and ginger is a must. Hi Kev, enjoying your site. Very informative. I’m a true believer in healing yourself. If you eat healthy and exercise and keep your mind/spirit clear of negativity and stress, that will fuel your body and your cells will be healthy and attack and destroy anything including cancer from harming us. Our body was originally created to heal itself and live forever. 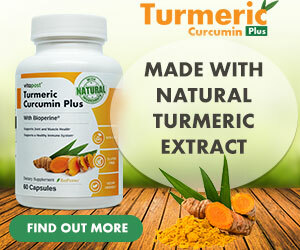 Tumeric/curcumin is one of the most powerful nutrients we can use to stay healthy. It attacks inflammations in our cells including cancer, heart disease, diabetes, arthritis and so many more. When the inflammation was under control, you were able to urinate normally. There is over 50% of men over 40 years old that has this problem and the standard doctors are only taught to remove prostates or put them on medications that causes other serious complications. Best to you, and I am in hopes that you reach the masses with this info. I will refer this website to many. Keep up the great work. Thanks so much for your inspiring comments. Yes food really is medicine not pills! Between the 2 of us we will get the word out to the masses and get people healing themselves through the whole foods they eat and steer them away from the Big Pharma machine. Love your work and thanks again for visiting the site. Hi there! Great recipe! I never would have thought to put these ingredients together! Great information here! That sounds totally yummy. Anything with ginger is going to taste better than without. Thanks man, yes ginger is a beauty. Thanks for your comment. Yes pineapple is very under rated. I am going to write a big article on it soon because it is so cleansing, healing and healthy. Great to see you on the website again Bec! I had doubts about its taste but reading your comment above sorted me out. Will try and share the outcome! Do you have a recipe of Juice for a better skin? hehe…just curious! I have not known that pineapples can help kill cancer cells! Great information! Gain some new knowledge today! This juice is lovely and tastes delicious. A seriously yummy breakfast juice with benefits haha! I gotta be honest, This juice, doesn’t sound very yummy lol. But I could be wrong! I thought Clamato juice sounded disgusting, but I really like the bold rich flavor of it (especially in a ceasar). Can you describe what this juice tastes like? Does the sweetness of the pineapple balance out the strong flavors of the ginger and tumeric?